Aspen are amongst the most beautiful trees in existence. 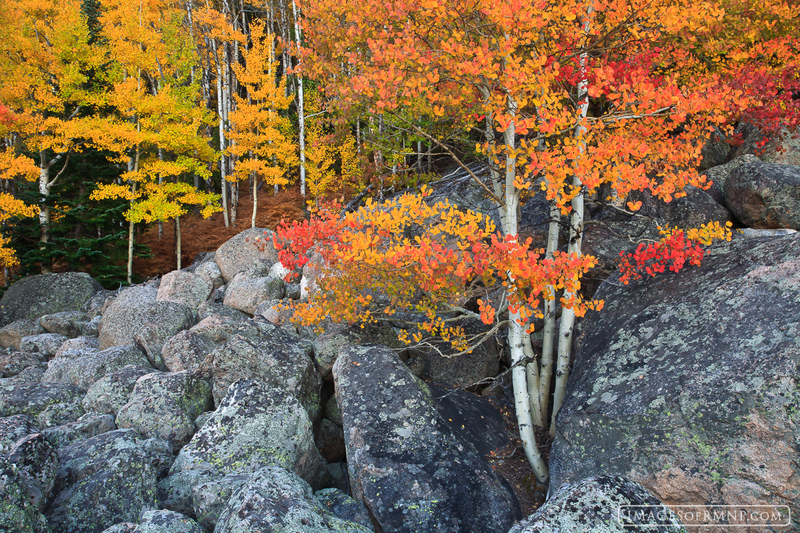 Their slender trunks contrast with the rugged terrain and their autumn colors can rival the vibrance of the maple. Most of the time aspen turn a brilliant yellow in the autumn but in certain places you will also find oranges and reds. This particular tree along Bear Lake Road had all three colors at once while growing in the most unfavorable terrain. Photo © copyright by Erik Stensland.